At this point, I shouldn’t need to tell you about the Dark Souls series and why people are excited about it. Over the last few years, From Software has grown in reputation thanks to the series and being one of the most challenging on the market. The previous Dark Souls I felt stepped away from what made the series great and left From Software in a position to recover with Dark Souls III. With 3, we have a mix of old and new designed to push (and punish) players further. As with previous games in the Souls series, you are an undead being cursed to wander the land until you eventually become hollow or insane. Upon awakening, you are given a quest to return the lords of cinder to their throne; this entails wandering a very big land and dying a lot. Just like the other games, there is a deep story hidden behind the lore, but I’m going to leave that for someone more versed in it to talk about. 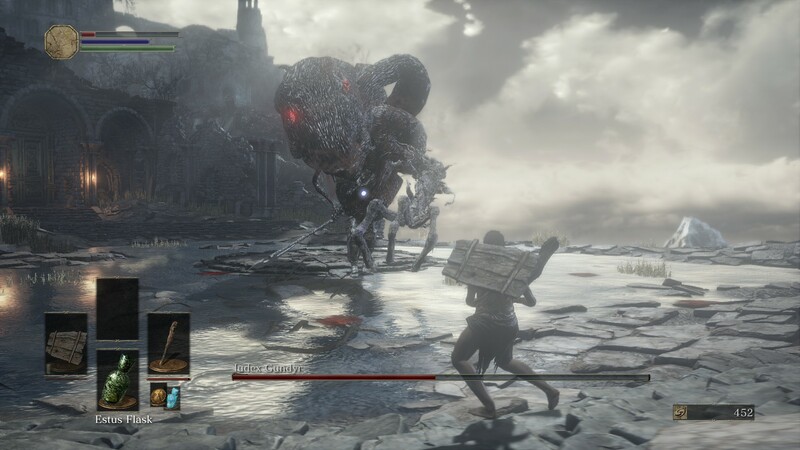 The basics of the Souls are on full display here: Using a skill and timing-based combat system, you’re going to be fighting enemies of all shapes and sizes while looking for shortcuts and the ever vital bonfires for checkpoints. As with Dark Souls 2, bonfires automatically allow you to teleport to them once found; allowing for quick travel to and from. Gone is the controversial adaptation stat that affected invincible frames, and the game is back to keeping them consistent across characters. There are a few new base changes to the gameplay to give players more options. The first is that your eastus flask which is your only source of healing is now split into two. You have one flask for healing and one flask for recovering flame points or FP. FP is used for using spells and special skills that are unique to each weapon type. The skills are a holdover from Bloodborne and are meant to give you more options in combat, and allow melee-focused characters a reason to boost their FP up. You can assign how many of your total charges to the different flasks, and of course upgrade your flasks to restore more with each swig. 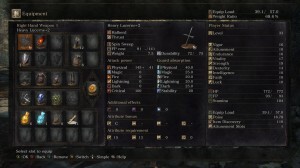 Previous games had a mechanic built around living and dying in the game: From the complex and level altering light/dark tendency in Demon’s Souls, to a simple measurement in the previous Dark souls. 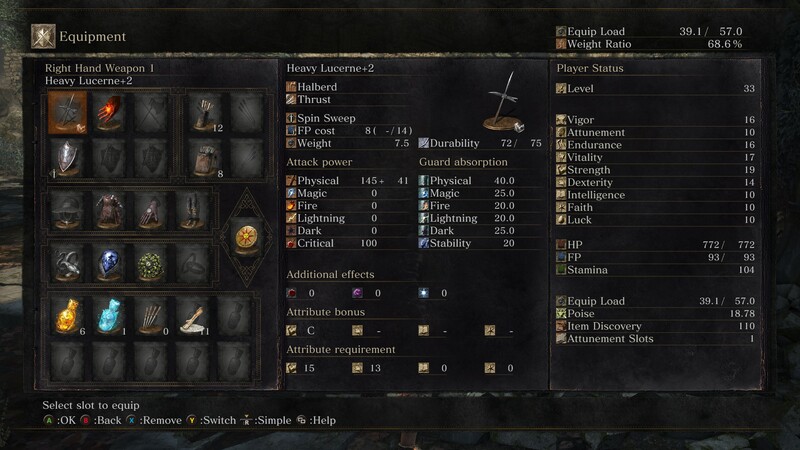 In Dark Souls III, you can use ember to earn a flame which gives you a higher max health and puts you in a position to summon help or be invaded as long as you don’t die. You’ll need all of these, as Dark Souls III continues the difficult tradition of the series. The Souls series is known for having very challenging and rewarding combat, thanks to diverse enemies and boss fights. Dark Souls III definitely takes things up a notch in both areas. Regular enemies are more varied and a lot more dangerous this time around. The reason is that enemies are faster, more aggressive and have been given more combo chains for their attacks. In previous games, an enemy would attack at most two or three swings in a single chain. Now, they will attack with more swings in a single string and their strings are more varied. For instance, enemies may perform three swings that look the same, but have two or more different combo endings to them. They also have more attacks, including those designed to punish players for using previously effective strategies. I’ve ran into enemies who knew how to get around circle strafing or attack you if you keep swinging too much. Bosses are also more varied and remind me of Dark Souls 1 in terms of variety and different solutions to beating them. Just like before, you can summon characters to help you or be summoned to recover your flame and get some souls in the process. From a moment-to-moment standpoint, Dark Souls III continues the greatness of the series, but there are some issues hiding under the surface. Dark Souls 3 has all the good elements of previous Souls games, but it also has all the bad as well. The camera continues to have trouble with not getting stuck while fighting larger enemies and the increased speed makes it hard for it to keep up. Of the three games and Demon’s Souls (haven’t played Bloodborne yet,) this one takes the cake for roughest start for new players. Unlike Demon’s Souls that had a great beginning to run things by the player, you are thrust within minutes into your first boss fight and expected to learn or die. 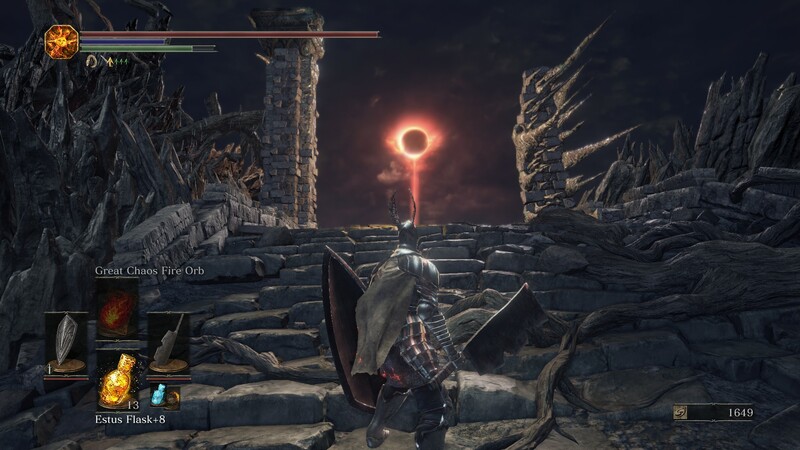 What makes Dark Souls different from Demon’s was the fact that the world was open-ended; allowing you to explore different sections that were still connected to the world’s geography. Dark Souls 3 feels somewhat limited in this regard. The starting areas have a sameness to them and the connectivity between areas has been downplayed in favor of just shortcuts within each area. While this is better than the confusing world of Dark Souls 2, it doesn’t beat Dark Souls 1 for world creation. All the problems that have been inherent in the Souls series is back: Unhelpful camera, enemies attacking and glitching thru certain obstacles and each other, camera still getting stuck when fighting large enemies and so on. While people may have gotten used to them, it’s still a mark against the game by the fact that nothing has been done it seems to try and fix them. The new concern at the moment has to be the technical issues plaguing the game and some underlining mechanic issues. There is a bug going on that causes massive framerate lost, stuttering or simply game crashes due to the lighting. It happens at specific points in the game which makes it all the more frustrating that it wasn’t caught. And of course, people have been having connectivity issues with joining games. There are also issues on the console versions as well; hopefully From Software will get those straighten out. Also, there are some points to discuss with the underlining mechanics and changes of Dark Souls III. The short version is that there are several mechanical changes that impact poise and armor, and their impact on both PvE and PvP. Unfortunately, they’re way too big to get into detail about here, but that will be saved for a massive post coming to Game-Wisdom soon. 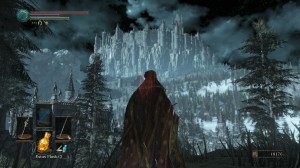 From Software continues to make subtle improvements to the moment-to-moment gameplay, but still is having trouble with the overall problems and concerns of the series. As with previous games, you’re either going to love it or hate it for its ramped up difficulty and challenging fights. If you’re new, I would still suggest either Demon’s Souls or Dark Souls to get your feet wet (maybe Bloodborne, but I haven’t played it,) as Dark Souls III really feels like it was designed for someone with one of the games already under their belt. For me, I find the game at the moment lands too much on the side of being cheap with its mechanics to really enjoy fully. Just like with Dark Souls 2, expect a second post on Game-Wisdom talking explicitly about the gameplay to come soon. Anybody worried that this would be a continuation of Dark Souls II, fear not, Dark Souls III is clearly better in every aspect, but to compare it to one, well, I got a “few” words to say about that in another post. For more content on Dark Souls III, you can watch my depraved run on the Game-Wisdom YouTube channel. If you enjoyed the post, please consider donating to the Patreon campaign. Your donations help keep Game-Wisdom going and allow me to keep putting out great content.